Heard a magpie going crazy so went to have a look and found this Koala getting harrassed while he was trying to have a nap. The photo was taken while he was on his way down to find a new tree. 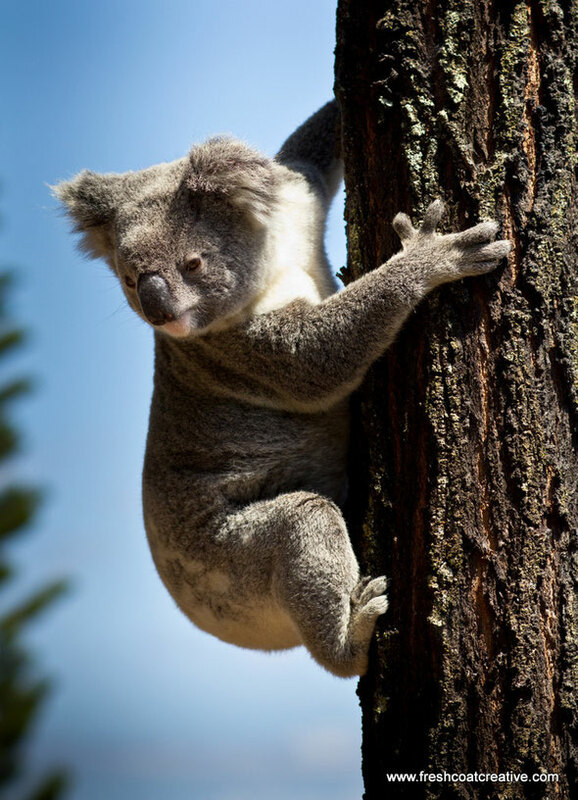 The Koala is looking for a route to the next tree. 100mm Prime, f/4, 1/1000s, ISO 200. My developer is trying to persuade me to move to .net from PHP. I have always disliked the idea because of the costs. But he's tryiong none the less. I've been using WordPress on several websites for about a year and am worried about switching to another platform. I have heard great things about blogengine.net. Is there a way I can import all my wordpress content into it? Any help would be greatly appreciated!